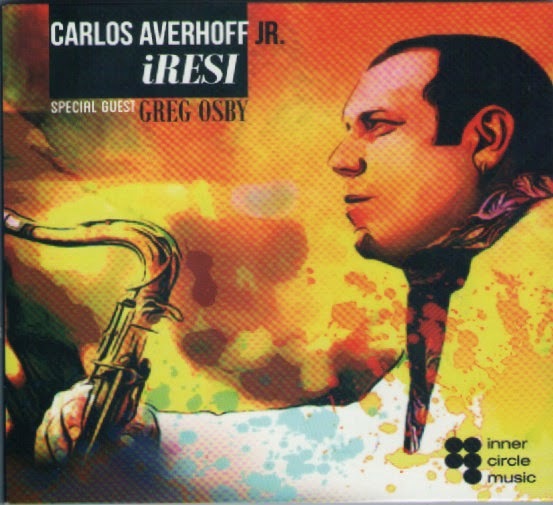 bebop spoken here: CD Review: Carlos Averhoff Jr. - iRESI. Carlos Averhoff Jr. (ten); Greg Osby (alt); Aruan Ortiz (pno); John Lockwood (bs); Francisco Mela (dms). It says much for the world wide recognition of Bebop Spoken Here that I receive as many discs for review from Europe and the USA as I do from UK (Scotland being a notable exception!) Such is the volume of transatlantic offerings that only a small percentage reach the page and I worry about the increased load the Boeing's have to carry - not to mention my postman's back! For myself, unfamiliar with Yoruba, I can only say this is quite a compelling album covering many aspects of Jazz - past, present and future - Averhoff Jr has a lovely Hank Mobley sound - his tribute to his wife Alina must, in years to come, rank alongside the great ballad performances. We've got Bossa, Latin - you name it, it's here. He can swing like yesterday or tomorrow. Osby is more a tomorrow man with the rhythm section certainly from today. The leader's father was, and still, is a prominent Cuban saxophonist. Carlos acknowledges his father's playing as "The first sax sound I heard in my mother's womb." Check it out here - it's good!